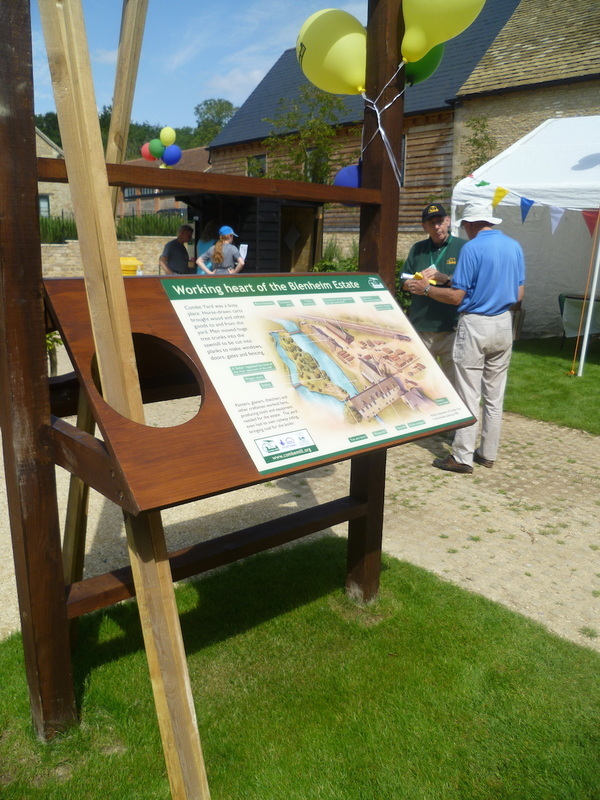 Combe Mill is a Victorian saw mill that is now open as one of the premier visitor attractions in Oxfordshire. In 2012 we were involved in developing and implementing interpretation for the whole site. Visitor information and orientation panels. 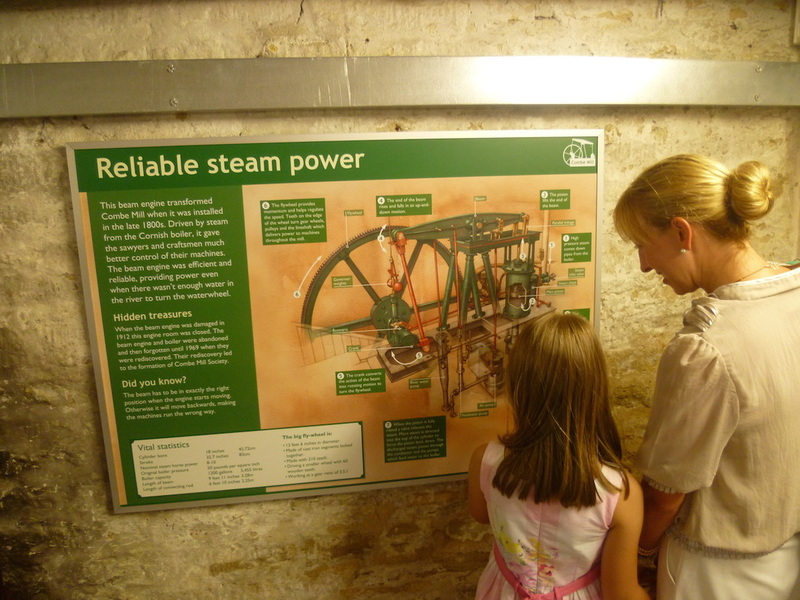 Cut away illustrations of the mill and beam engine. Production of 'Talking Heads'﻿ ﻿films. 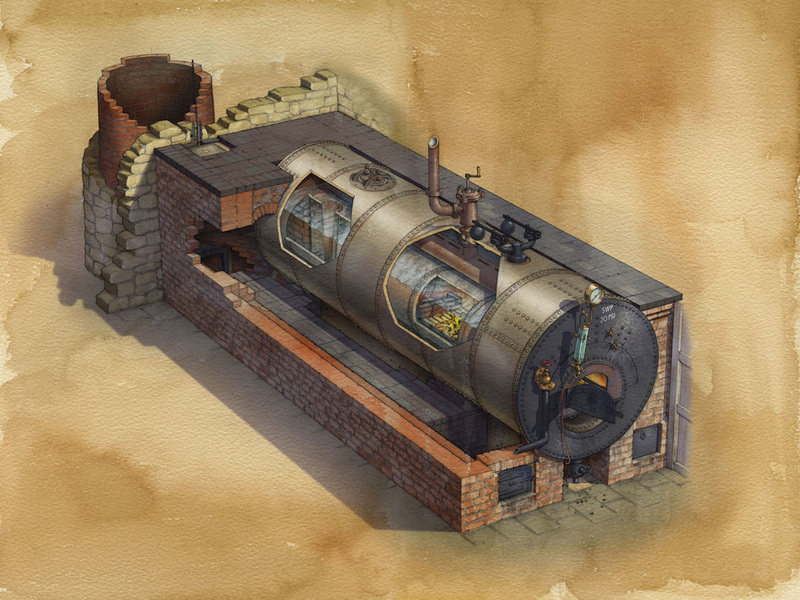 Production of animations to show working of steam and engine and waterwheel. Construction and installation of 3 audio visual units each showing 8 short films. Filmmaking project in conjunction will local primary school. Talking head - James Coombes, carpenter. 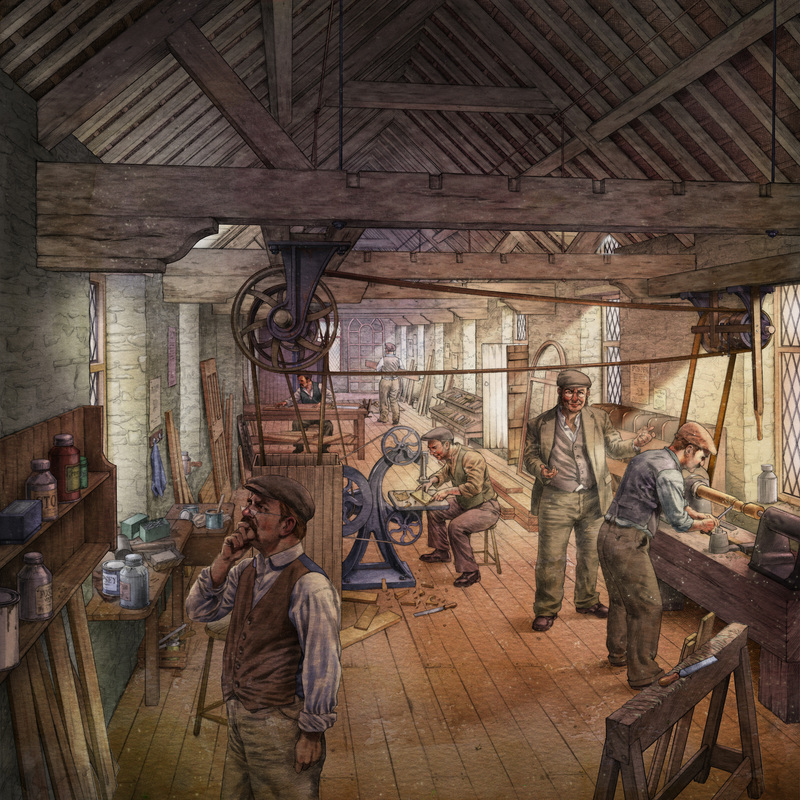 The images to the right are the three characters we used to tell the story of the mill. They are based on real-life former workers and their facial characteristics are based upon the actors who played them in the talking heads films. 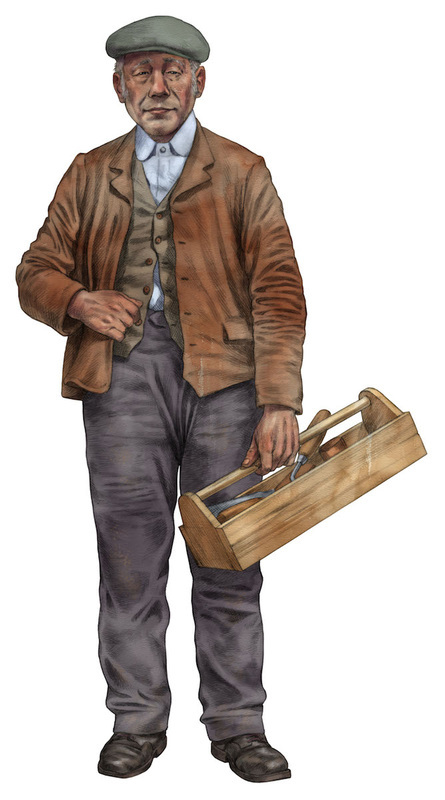 Life-sized cut-out images of these characters are placed throughout the mill and they also feature in the literature produced. 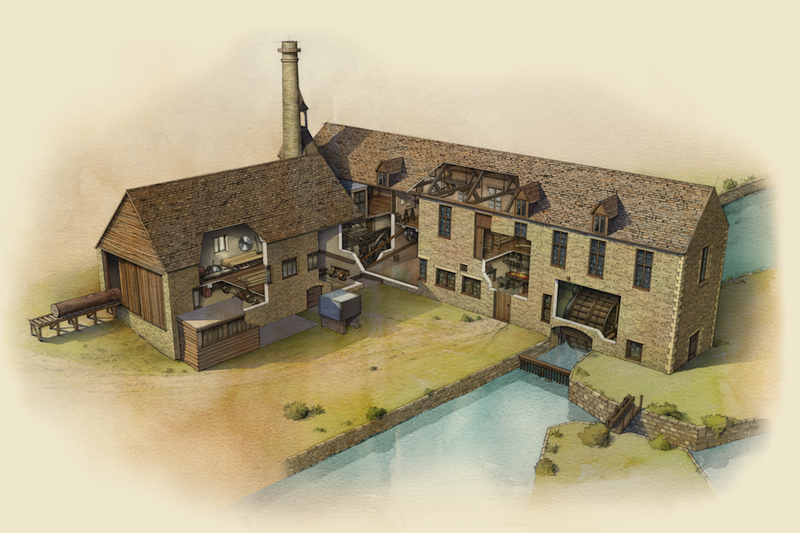 Malting's illustration showing what the saw mill may have looked like when it was fully operational. 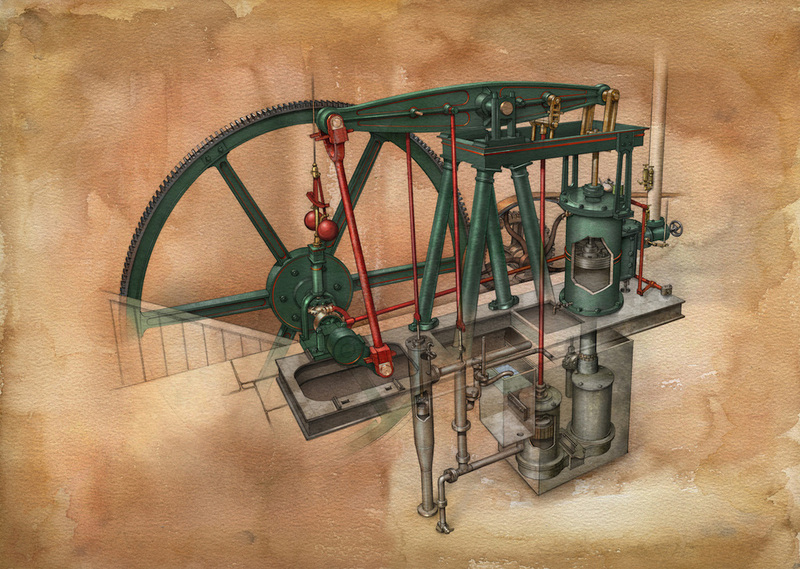 A cutaway illustration of Combe Mill showing detail of the beam engine, waterwheel and saw.